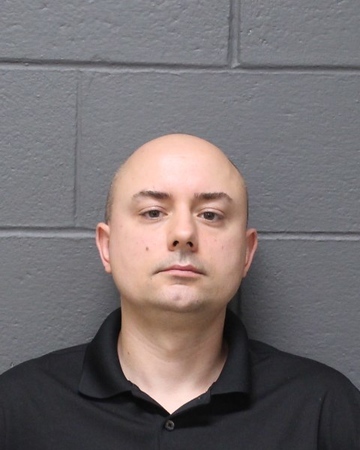 SOUTHINGTON - A Southington man charged with leaving two children in a car on a hot, summer day is looking to avoid prosecution. Karl Luberda, 38, applied for Acceleration Rehabilitation - a first-time offender program - during a hearing on Tuesday, in Bristol Superior Court. Should the program be granted, he would be placed on a form of probation for up to two years, after which time the charges against him would be dismissed if he’s successful in avoiding further arrests and completing any conditions set forth by a judge. Luberda will learn on Feb. 13 if he’s eligible for Accelerated Rehabilitation and if a judge feels the program is an appropriate resolution to the case. Court officials will have to investigate to determine if something on Luberda’s motor vehicle record and his prior use of the program disqualify him from using Accelerated Rehabilitation again, a judge said Tuesday. According to police, Luberda left a 4-year-old and an 18-month-old in a vehicle that was not running, with its windows up on Aug. 22, at about 2:20 p.m., when it was 84 degrees. The doors were locked. The girls were allegedly left for about 20 minutes while Luberda, a real estate agent, was showing a home in the Spring Lake Village complex, police said. Police were called after a witness reported seeing the two children. The witness told police Luberda came back to his car about a minute before officers arrived. Police said the children did not appear to need medical attention. They were picked up by their mother. Luberda faces two counts of risk of injury to a minor and two counts of leaving a child under 12 unsupervised. The state’s Department of Children and Families will be notified that he is seeking a first-time offender program, according to court officials. Posted in The Bristol Press, Southington Herald on Tuesday, 22 January 2019 17:37. Updated: Tuesday, 22 January 2019 17:39.